Are you suffering from a car accident back injury? Learn about types of back injuries and treatments, and how to build a strong personal injury insurance claim. Sooner or later, you’re bound to be in a traffic accident. Most Americans can expect to be in at least three or four accidents in their lifetime. The severity of back injuries from a car crash can range from mild strains to permanent disability. Whether your back injury is a temporary inconvenience or a life-altering catastrophe, you deserve fair compensation. You need to know how to build a strong insurance claim and how to avoid common pitfalls. This guide can help. Modern cars come equipped with seatbelts and airbags, yet injuries still occur. The most commonly reported injuries are to the back and neck. The human back is a made up of a complex network of tendons, muscles, and ligaments intertwined around the vertebrae, the disks, and the spinal cord. Vertebrae are the bones in the back. They have an opening for the spinal cord to pass through. Above and below each vertebra are facet joints. Disks are cushions positioned between vertebrae that act as shock absorbers. The spinal cord is a long bundle of nerve fibers that connects nearly all parts of the body to the brain. Depending on the force of impact in a car accident, one or more parts of the back can be injured. Because the spinal cord runs the full length of the back, any injury to the back can be painful and debilitating. Herniated Disks: Disks are the cushions between the vertebrae. Trauma from a car crash can rupture a disk or cause it to “slip.” Disk herniation occurs when the disk ruptures, causing part of the inner cartilage to protrude. Slipped disks are when the damage pushes or squeezes a disk out of its natural position between the vertebrae. Burst fractures are from severe compression causing the vertebrae to splinter, sending bone shards into surrounding tissue and sometimes the spinal canal. Facet Joint Injuries: Facet joints help support your body’s weight and work with disks to control movement. Facet joints have a large concentration of nerves that can be excruciatingly painful when injured. The most frequent symptoms are muscle spasms in the area of injury. Your doctor will examine your back and evaluate your ability to sit, stand, bend, walk, and lift your legs. Be sure to tell the doctor you were in a car accident. Depending on the initial exam, your doctor may send you home to rest a few days or may order more tests. X-rays: A basic diagnostic tool used to identify bone fractures and spine misalignment in back injuries. Magnetic Resonance Imaging (MRI): An MRI is used to assess misalignment and damage to the spine, herniated disks, and nerve damage. Computer Axial Tomography (CT Scan): A CT scan often identifies damage to the disks and spinal cord. It’s an excellent tool for assessing cartilage and fluid damage when disks rupture. 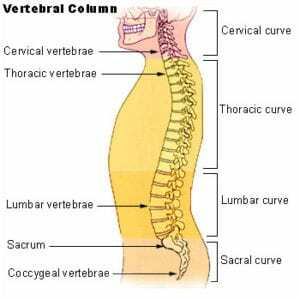 It also accurately measures the density and degree of fracture to vertebrae. Electromyography (EMG): This nerve study test can confirm nerve compression caused by herniated disks or narrowing of your spinal canal. Car accident victims with back injuries are usually treated first with “conservative” or non-invasive methods to reduce pain and help restore normal movement. Most doctors start with medications to control back pain, swelling and muscle spasms. Pain Relievers: Over-the-counter (OTC) non-steroid anti-inflammatory medications like ibuprofen (Motrin) and naproxen sodium (Aleve) reduce pain and swelling. Your doctor may order prescription strength preparations of these meds. Muscle Relaxers: Your doctor may order prescription muscle relaxers if OTC meds alone aren’t enough. Muscle relaxers may cause drowsiness. Narcotics: Opioid medications may only be used for a short time, under close supervision. Narcotics don’t work well for lingering, chronic pain. Topical: Pain relieving creams, lotions, and ointments can be rubbed on the skin where it hurts. Topical pain relievers are also available in large “patches” to cover wide areas of the back. Injections: If medications aren’t helping, back pain that radiates down the leg may be treated with cortisone injections into the space around the spinal cord. The cortisone decreases inflammation around the nerves. For mild, soft tissue injuries like strains, sprains, and slight tearing of ligaments, tendons, and muscles, doctors recommend a combination of rest, physical therapy and gentle exercise. Most people recover from soft tissue back injuries within a month or so. Laminectomy: During laminectomy surgery, the surgeon removes a small part of the damaged vertebrae called the lamina. The surgeon also removes damaged disk material, like fluids and exposed cartilage, from the affected nerve area to relieve pain and discomfort. Kyphoplasty and percutaneous vertebroplasty: Kyphoplasty surgery uses a small balloon-like expander inserted into the disk area between the vertebrae. The balloon expands the vertebrae so that the surgeon can inject a stabilizing agent into the damaged area. The procedure strengthens the vertebrae, making it more durable. Endoscopy: Endoscopy is a minimally invasive surgery. The surgeon inserts a small tube with a tiny camera into the vertebra through a small incision. The camera helps the surgeon to see and treat pinched or compressed nerves and identify vertebrae that may need fusing. Spinal Fusion: Spinal fusion surgery joins two or more vertebrae together. The surgeon grafts bone tissue (from the patient or a matching donor) to the damaged vertebrae. Because the tissue is natural to the body, it becomes part of the existing tissue, strengthening it. Artificial Disk Replacement (ADR): During ADR surgery, the surgeon substitutes the severely damaged disk with an artificial prosthetic disk. Microdiscectomy: During microdiscectomy surgery, the surgeon removes damaged disk material pressing up against the nerve endings. The procedure often stops the pain immediately. If you live in a no-fault insurance state, file your injury claim with your own insurance company, even if the other driver caused the accident. Your personal-injury-protection (PIP) coverage will reimburse the costs of your medical treatment, chiropractic care, lost wages, and out-of-pocket expenses related to your treatment. PIP coverage won’t pay for pain and suffering. The cost of soft-tissue injuries shouldn’t exceed the limits of your PIP coverage, but if you’ve suffered severe car accident back injuries, you will be eligible to pursue the at-fault driver for your damages. If no-fault laws don’t limit you, the first step is filing a claim for damages with the at-fault driver’s insurance company. Damages are what the insurance company calls the costs associated with personal injuries or property damage. These include your medical bills, out-of-pocket expenses, lost wages, and pain and suffering. Property damages are the cost to repair your car, the cost of a rental while your car is in the shop, or the value of your car if it’s totaled. You can also file a property damage claim for personal items lost or damaged in the crash, like eyeglasses, smartphones, and clothing. Your insurance claim will be given a claim number and assigned to a claims adjuster. The adjuster may seem very kind and sympathetic, or treat you like a crook. No matter how the claims adjuster comes across, you need to keep your cool and act professionally. The adjuster is trained to get you to say things that can be used against you. Be very careful about giving a recorded statement over the phone or in person. Never give a statement if you are medicated, angry, or uncomfortable answering questions. Be just as careful about signing a release for your medical records. The insurance company needs records and bills to prove your injuries. However, they don’t need records unrelated to your current injuries. You have a right to insist on a release limited to back injury care you’ve received after the accident date. If you’re concerned about the implications of a recorded statement or medical release, talk to a personal injury attorney before moving forward with your claim. Once you’ve recovered from your back injury, it’s time to calculate your claim’s value by adding up all your bills and expenses and adding a reasonable amount for pain and suffering. Be prepared to back up your damages, and don’t take it personally when the adjuster starts to pick apart your claim. Be polite, but persistent. Open negotiations like a pro by using our sample Personal Injury Demand Letter. The other driver’s insurance company won’t just write you a check. You’ll have to prove the other driver was negligent, and their negligence caused your back injuries. Police Report: Police officers respond to injury accidents. On the scene, the officer will investigate the cause of the accident and file an official police accident report. The report will have diagrams of the accident scene, witness names, tickets issued, and the officer’s opinion of who caused the crash. Insurance adjusters give a lot of weight to the police report. Witness Statements: Try to speak with anyone who has information that can help your claim. Get their contact information and ask if they’ll write down what they saw and heard. Witnesses may have evidence of the other driver’s negligence. Maybe they saw the driver make an illegal maneuver or heard an admission against interest. Statements like, “It was my fault,” or, “I was on my cell phone” are compelling. Photos and Video: Take as many pictures and videos of the accident scene as you can, from different angles. Photographs don’t lie. The more you have, the better. Photos of the point of impact, skid marks, the driver, traffic signals, and more are strong evidence. Medical Records: Your medical bills and records connect your back injuries directly to the accident. Get copies of all your medical records, from the emergency room, treating doctors, and any tests or therapy you’ve had. Make sure the doctor’s report clearly states the accident caused your back injuries. If the doctor’s notes are vague, ask him to update his notes to be more accurate. If you had a prior back injury, make sure the medical record explains your injuries from this accident are separate and distinct from any prior injury. Notes and Correspondence: Start right after the accident by writing detailed notes about the accident and how it happened. Continue keeping detailed notes about your day-to-day pain and limitations. Keep track of anyone you speak with about your injury claim, and keep copies of any correspondence with the insurance company. Include the claim number on all communications. Claims for soft tissue injuries can usually be handled directly with the at-fault driver’s insurance company. Your compensation will be the total of reasonable medical and therapy costs, out-of-pocket expenses, and a few weeks lost wages. If you aren’t making a no-fault claim under your PIP coverage, you can add one or two times that amount for pain and suffering. Each state has a deadline called the statute of limitations regarding how long you have to settle your insurance claim or file a lawsuit. Some states have deadlines as short as one or two years. If you haven’t settled your injury claim or filed a lawsuit before the statute runs out, you lose your right to seek compensation, no matter how badly you’re hurt. Don’t wait until the last minute to talk to an attorney. Protect your claim. Severe back injuries, like ruptured disks and spinal cord injuries, can be expensive and disabling. Severe back injuries are high-dollar claims that should include compensation for future economic losses and long-term medical expenses. Insurance companies are notorious for offering lower settlements to accident victims who aren’t represented by an attorney. They know you probably won’t have the legal savvy or the energy to fight them when they’ve made their “final” offer. You have too much to lose by facing the insurance company on your own. You’ll need an experienced personal injury attorney to get anywhere near the compensation you deserve. Don’t wait. It costs nothing to find out what a good attorney can do for you. Compensation for vertebrae compression fracture from car accident? Can I reopen an injury claim if I haven’t cashed the settlement check? Car accident after back surgery?